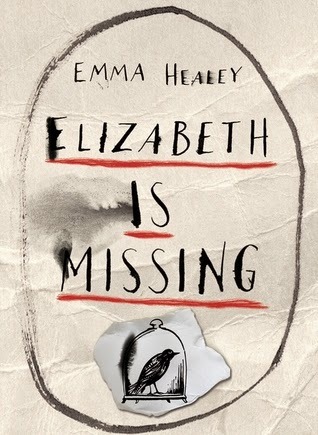 Emma Healey’s debut novel Elizabeth Is Missing is garnering a lot of attention. The page-turning mystery, with an honest portrayal of love and memory, takes us from post-war Britain to the present day through the eyes of Maud. Beautifully written with an authentic voice, you’d almost expect it to be created by someone of a certain age and experience; but you’d be as pleasantly surprised as I was when I met Emma Healey for lunch in Toronto. Thanks to Random House Canada for hosing this intimate luncheon. I was on top of the world: after all, I got to sit right next to the author during lunch as we discussed the nuances of language. You say “to-mah-to” I say “to-may-to”, but we all say “wow” to Elizabeth Is Missing. Down-to-earth, approachable, and young -- how someone with the exuberance of youth was able to tap into the voice of an aging grandmother slowly losing her memory and her grip on everyday life is anyone’s guess. Yet, Emma Healey succeeded! Mirror, mirror on the wall. Who’s the bravest of them all? The discovery of a compact mirror in Elizabeth’s garden ignites the sleuth in Maud. Where is Elizabeth? Maud tries to remember the last time she saw Elizabeth. But, she can barely remember things that happened just seconds prior. How in the world is she going to solve this mountain of a mystery? As a reader you are taken on journey, which at times is a slippery one where you are not quite sure of whether the memories conjured up in Maud’s mind are real or imagined. You can imagine being in the same state of mind, and it scares the hell out of you. But that is a reality in itself! It is real. And it can happen to you. How does one feel when faced with the fate of slowly losing their mind? In writing we are often told, “show me, don’t tell me”. And Emma Healey puts us right into the unsettling mind of Maud. We are haunted by her thoughts, her memories, and often we don’t know what the outcome will be. That is frightening. Did you know that there was a bidding war between 9 publishers in England fighting over the rights of Elizabeth Is Missing? I’m looking forward to the TV series of Elizabeth Is Missing. Hopefully Emma will have a say in the casting because the success of the show will rest on a character that is adventurous and witty. Personally my fave would be Judi Dench to play Maud. What’ s lovely is that Emma Healey has not turned this character into someone for whom we should feel pity. To the contrary, Maud is far from the withering Alzheimer’s patient who gives up on life. At eighty years old, she has a zest for living and an inquisitive mind – not something you normally associate with dementia. This gripping insightful book will keep you riveted from beginning to end. Elizabeth is Missing is published by Alfred A. Knopf Canada.